In the 18th century thread was sold in skeins like embroidery floss is today. For easy use thread would be wound onto a winder. A bit of beeswax rubbed into the loose end of thread will secure it to the winder. 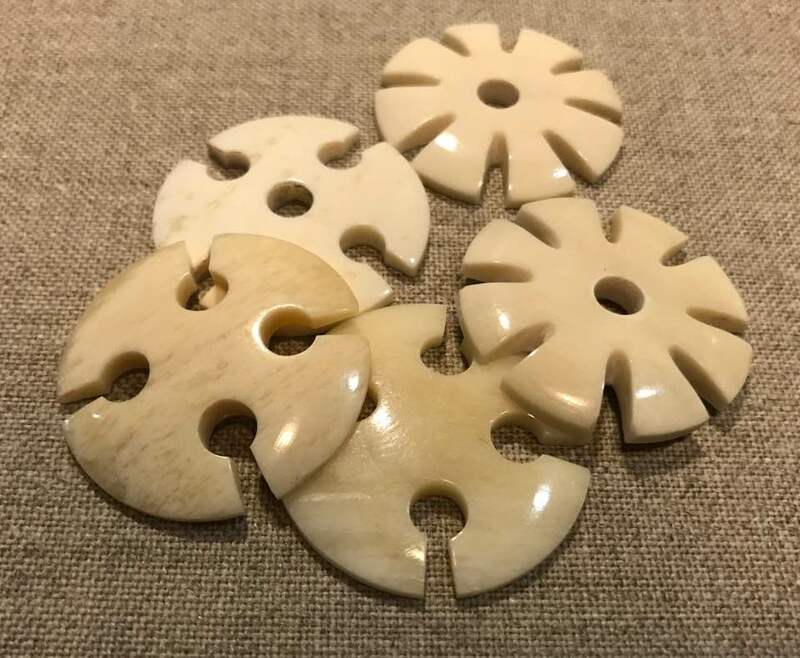 These bone thread winders are 1 1/4" across and are similar to the 18th century types shown on page 168 of Plain and Fancy, American Women and Their Needlework, 1700-1850, by Susan Burrows Swan (Rutledge Books) 1977.